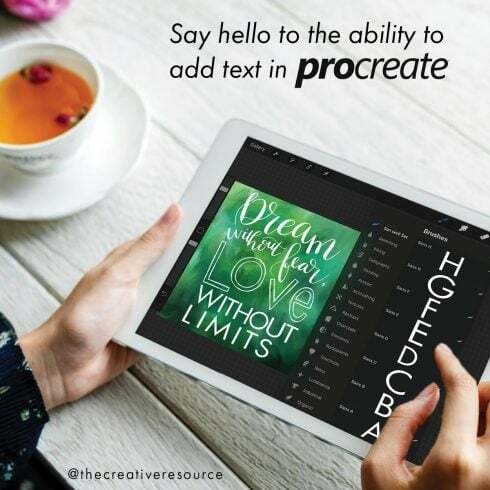 With this set, you can finally add type to your image in the Procreate app. This special set of brushes eliminates one of the biggest frustrations of artists who use procreate because they allow you to add type to your artwork. This is not a brush for handlettering, but more of a stamp for adding type in a specific font to your image right inside the Procreate app. The baseline on these brushes is aligned, so when you use a guide, the bottoms will align if you use the same size for each brush and stamp on the guideline. You can choose the color, the size, and the opacity. Choose the set with the font you want and get started. This set contains: Lowercase letters, plus special characters in a sans serif font. Note: An Apple Pencil is NOT required. These brushes are designed so that you can use your finger or any standard stylus, so that you can continue creating when you Apple Pencil needs charging. These brushes are created specifically for the Procreate app and are not compatible with Photoshop, Illustrator or other software programs. A web font is a group of signs of a certain size and pattern that forms one thematic and structural unit. The primary purpose of any font is to obtain the audience’s interest with its form and color and get him to review the content. A proper font enables you to deliver not merely the words but also a certain atmosphere. Stylish and unusual web fonts are more effective and more recognizable, so every company tries to actively use its original one as an essential part of their brand identity. The price for customized web fonts typically varies from $0 to $100 . How Do Fonts Influence Perception of the Product or Service? When talking about designing ad banners, one needs to take the selection of font rather seriously. Advertising banner creators should choose those kinds of fonts that will match the mood of their advert. The font itself does not only carry info but also fills it on an emotional level, as long as one is applied correctly. Generally, the promo text shows the person an idea of the brand’s product, which means a properly-picked web font will only help with the desired visual effect. If the font matches the written content and is also paired well with the image, it will help with the prosperity of your advertising plan. For that reason, one should not skip on buying authentic and tasteful fonts. There are 5 types of fonts. Serif fonts are more typical, they can be easily recognized via tiny lines on the ends of characters. Sans-Serif fonts are a modern type, and characters will not have small lines . Slab-serifs look blocky and chunky, they add substance to the design. Scripts look like hand writing and also have interconnected letters. Stencil fonts are known to have rounded boundaries and thin strokes, one can employ them to produce a creative headline. 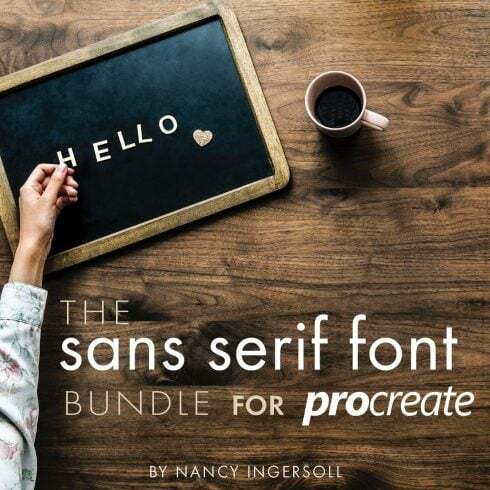 What Are Font Packs and How Much Will They Cost You? A web font kit is simply a collection of multiple (2 to 15) web fonts available at a greatly cut down price. One of the benefits of purchasing units is that they cost a little higher than an individual font does, as long as they are on discount. The regular cost of a web font set on our site is just $2-20. However, be fast: the life period of each bundle goes on for only five days. How Can Fonts Have An Effect On The Perception of the Products or Services? The standard of typography determines the way buyers comprehend and understand content. Fonts make it possible to capture attention and determine structure. Fonts determine the atmosphere and develop business recognition. Advertisers recognize that typography can make or break any graphic advert, logo design, or brand visuals. As soon as the designer uses sloppy or plain looking typography, users perceive the design as low quality and never keep reading. In the event the typography is unreadable, the whole artistic venture does not work out to achieve its aims. I Have Not Found Any Worthy Fonts in This Particular Font Bundle ? Do not worry! Master Bundles presents hundreds of various bundle choices for different occasions and styles. Just look through our site and you’ll undoubtedly come across something to your taste and requirements. Master Bundles is the best marketplace for buying web design products that will certainly improve the way you work in times. We frequently have super great sales (approximately 99 percent) on all goods and web kits simply because we want to make them inexpensive for absolutely everyone regardless of their funds. Yet, you have to be attentive, because the discounts on most kits last for less than five days. In case you don’t want to overlook the deals, simply subscribe to MB newsletter and stay up-to-date with the latest arrivals and available discount coupons. To get the available coupon codes, go to this page.